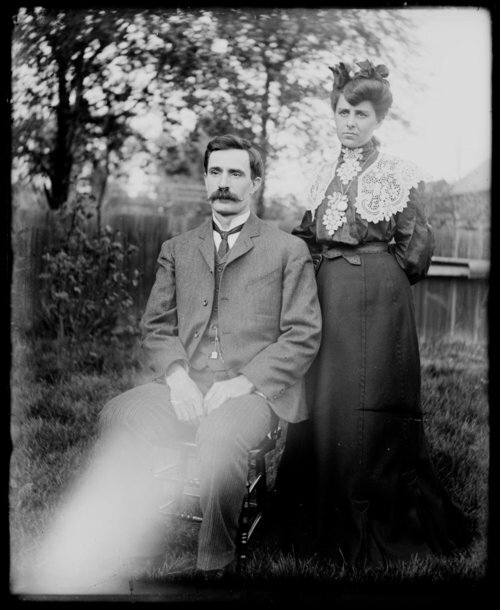 This is a photograph made from a glass plate negative showing G.B. Steen and his wife. G. B. Steen was an amateur photographer. The photograph was probably taken in their home at 930 Kansas Avenue in Topeka, Kansas.